A lovely poolside view and also beach view. Apartment was kept spotlessly clean. The location was perfect for visiting the Strip or the Old Town. The poolside food was very reasonable and also very tasty. Friendly staff,especial Manuel,Marie,Marina,Katelyn at the pool bar had great time. Really liked how clean and fresh the room was and the view was fantastic!! Location was very good. Apartment was clean, but basic. Facilities ok cooker never worked , reported this but no one came to check. Linen not changed while there, very hot week. Towels were changed. No air con! Lock in a great price for Apartamentos Moraña – rated 8.5 by recent guests! Apartamentos Moraña This rating is a reflection of how the property compares to the industry standard when it comes to price, facilities and services available. It's based on a self-evaluation by the property. Use this rating to help choose your stay! 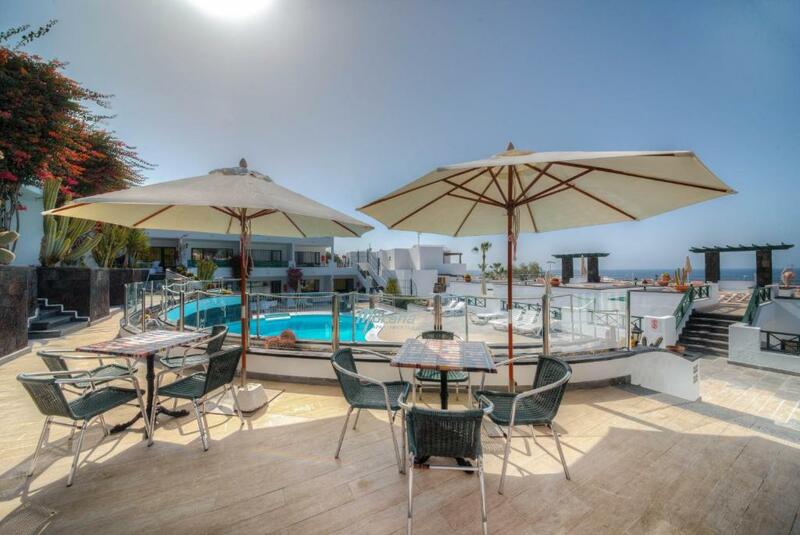 One of our top picks in Puerto del Carmen.Apartamentos La Moraña are located 150 feet from Playa Blanca in Puerto del Carmen. The complex has an outdoor pool, heated in winter, and apartments with a private terrace or balcony. All Moraña apartments have a kitchen with a fridge, electric stove, microwave and coffee maker, and a bathroom with a hairdryer. The sitting area has a TV with satellite channels. A safe can be rented. There's a children’s area in the outdoor pool and you can relax on lounge chairs on the terrace, which offers panoramic ocean views. There's also a poolside bar serving breakfast, snacks and drinks. The complex has a tour desk where staff can provide information about the surrounding area and help guests to hire cars or bicycles. Free Wi-Fi is available at the reception. There's a golf course just over 1 miles from Apartamentos La Moraña, and various watersports facilities can be found on the beach next to the complex. Tennis and racquetball courts can also be found nearby. 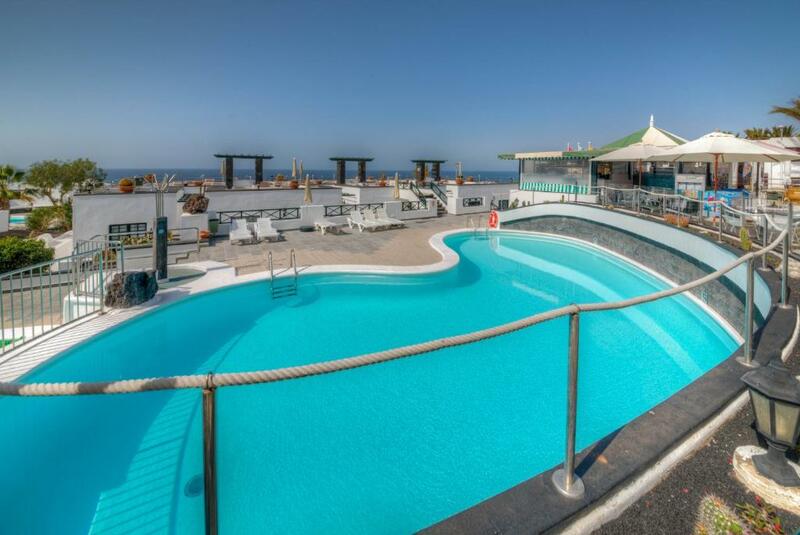 뀐 Located in the top-rated area in Puerto del Carmen, this property has an excellent location score of 9.3! When would you like to stay at Apartamentos Moraña? Featuring a private terrace or balcony, this apartment has a kitchen with a fridge, electric stove, microwave and coffee maker, and a bathroom with a hairdryer. The sitting area has a sofa where the 3rd guest sleeps and a TV with satellite channels. A safe can be rented. The apartment has a twin bedroom. Featuring pool or sea views from a private terrace or balcony, this apartment has a kitchen with a fridge, electric stove, microwave and coffee maker, and a bathroom with a hairdryer. The sitting area has a sofa where the 3rd guest sleeps and a TV with satellite channels. A safe can be rented. Featuring a private terrace or balcony with pool and sea views, this apartment has a kitchen with a fridge, electric hob, microwave and coffee maker, and a bathroom with a hairdryer. The seating area has a sofa and a TV with satellite channels. A safe can be hired. The apartment has 2 twin bedrooms. Estamos en primera línea de playa y desde nuestro solarium se puede divisar el mar. Lindando con la zona comercial de Puerto del Carmen, le sorprenderá el ambiente relajado de nuestro establecimiento y el trato familiar. Nuestro objetivo es que considere Moraña su "casa" en Lanzarote! Todo el personal de Moraña estamos deseando darle la bienvenida en nuestro establecimiento. Puerto del Carmen es la zona turística de Lanzarote por antonomasia. Estamos situados junto a la "Avenida" donde nuestros clientes pueden disfrutar de comercios, bares, discos y actividades de ocio. Todo ello, mientras se da un agradable paseo junto al mar. House Rules Apartamentos Moraña takes special requests – add in the next step! Apartamentos Moraña accepts these cards and reserves the right to temporarily hold an amount prior to arrival. Please note that the reception is open from 08:00 until 24:00. From 24:00 to 08:00 there will be a security person on site. Please note the outdoor pool is heated from November to March. Please note that Wi-Fi is available in the reception area. Please note American Express cards are not accepted. Please note apartments are cleaned 4 times a week and towels are changed twice a week. Bed sheets are changed once a week. Please inform Apartamentos Moraña of your expected arrival time in advance. You can use the Special Requests box when booking, or contact the property directly using the contact details in your confirmation. This was our second time staying in morana, Everything was fabulous, we had a great apartment ,504 with a pool and sea view. The hotel is very clean, staff were very friendly. Food was great, we will definitely be back again. The complex is on a hill and there are a lot of steps. Excellent location and very comfy compact apartment complex. The apartments them self are quite spacey in size. Very reasonable pool side cafe. More insulation/glazing on windows. So noisy every night didn’t sleep well at all. Very friendly staff, very clean apartments. Could do with a lift as had many stair to room. Friendly staff and welcoming on arrival clean and cosy. Poor quality beds. WiFi restricted to one device only free,€20 extra for a 2nd phone. Apartments lovely, fantastic view from room 508, nice pool although not heated as stated . Food at cafe in apartments was really nice, had garlic prawns they were delicious. Staff very helpful also.